The story captures the readers attention from the start with a mysterious trunk and doesn't let go. Inside the trunk is a wedding dress with a history that spans a century. The dress finds its way to four different brides each in need of wisdom. The women's lives are weaved together in to an intriguing way. This blend of historical fiction, modern fiction and suspense made it hard to put the book down. 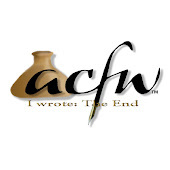 From start to end this well-written tale is very compelling leaving the characters planted in the readers mind. Charlotte owns a chic Birmingham bridal boutique. Dressing brides for their big day is her gift—and her passion. 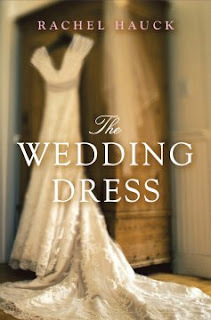 But with her own wedding day approaching, why can’t she find the perfect dress—or feel certain she should marry Tim? Then Charlotte purchases a vintage dress in a battered trunk at an estate sale. It looks brand-new, shimmering with pearls and satin, hand-stitched and timeless in its design. But where did it come from? Who wore it? Who welded the lock shut and tucked the dog tags in that little sachet? Who left it in the basement for a ten-year-old girl? And what about the mysterious man in the purple vest who insists the dress had been “redeemed”? Charlotte’s search for the gown’s history—and its new bride—begins as a distraction from her sputtering love life. But it takes on a life of its own as she comes to know the women who have worn the dress. Emily from 1912. Mary Grace from 1939. Hillary from 1968. Each with her own story of promise, pain, and destiny. And each with something unique to share. For woven within the threads of the beautiful hundred-year-old gown is the truth about Charlotte’s heritage, the power of courage and faith, and the beauty of finding true love.